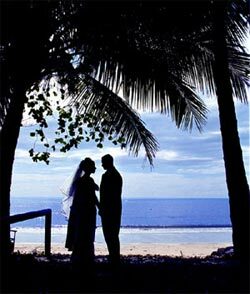 Sri Lanka is one of the world’s top three destinations for a wedding ceremony overseas. Indulge in a traditional Sri Lankan wedding or opt for a quiet ceremony by the beach. The location opportunities are endless: jungle, hot-air balloon, riverboat, beach, tea plantation, private island, etc. 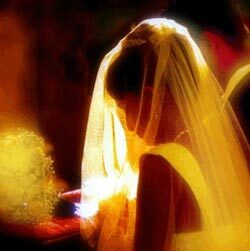 In Sri Lanka you can have a Civil wedding, Christian wedding, Buddhist wedding, Hindu wedding or Muslim wedding. Traditional is the Sri Lankan Poruwa ceremony. Most couples getting married in Sri Lanka have a basis of this ceremony either after their religious ceremony as a blessing or combined into a civil ceremony. The stages of the entire traditional marriage Poruwa Buddhist ceremony in Sri Lanka takes about 45 minutes. There are varying styles of Sri Lankan wedding and these change in accordance with the region. The core elements involve Kandy Dancers and Drummers, exchanging of vows upon a wedding Poruwa (stage) and elaborately dressed elephants to bring in the groom or to carry the just-married couple. Don't miss The Complete Guide to Weddings in Sri Lanka, which will give you everything you need to have your dream wedding in Sri Lanka. With prices, expert advice & all the essential information you will need, planning your wedding in Sri Lanka has never been easier.